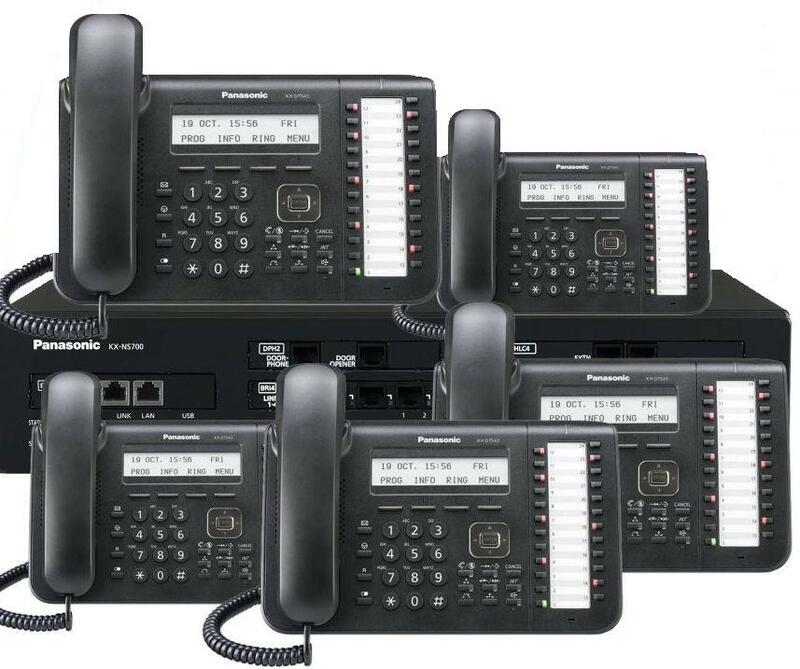 Panasonic KX-NS700 Telephone System with 4 ISDN Phone Lines and 8 x KX-DT543 Telephones. The Panasonic KX-NS700 telephone system is NBN Ready & comes with Voice Mail and Auto Attendant built in at no extra cost. Designed specifically for small or medium-sized businesses looking to take advantage of Panasonic's reputation for quality technology, the KX-NS700 unified communications solution is a small system with the ability to manage big future growth. Easy to install and maintain, it is a cost-effective legacy and IP communication system for companies with up to 250 users in a single site making it the ideal alternative to cloud-based solutions. Key Features include-Expand from 6 extensions, up to 288 extensions with Expansion Units, Cost-effective installation and operation, Built-in applications include call centre solution, mobile solution and voicemail.